Exterior walls have started going up at the site of the new residence hall. 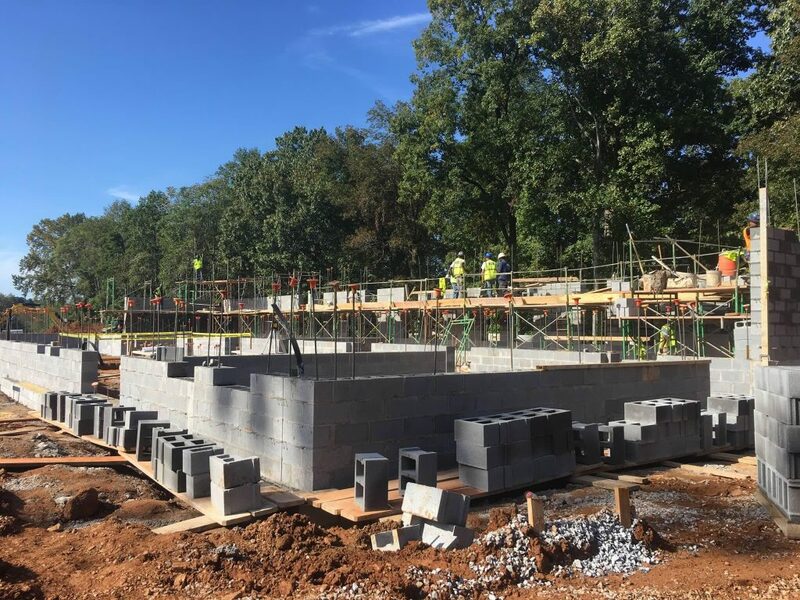 According to Greg McCann, site superintendent for Jamerson-Lewis Construction and a 2006 graduate of Lynchburg College, “the exterior block walls [that] hold up all the other floors” were built over the past couple of weeks. Exterior block walls are going up at the construction site. 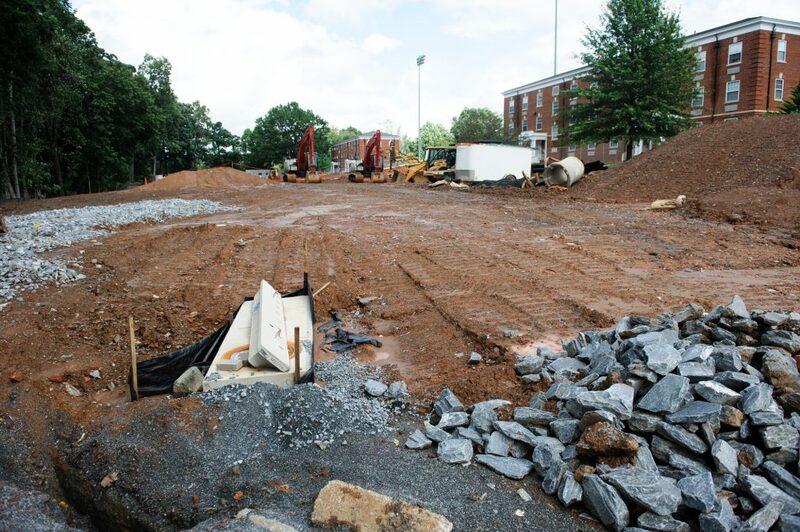 The parking lot at the new residence hall after it was stripped and graded off. Concrete retaining walls to begin. Undercut of unsuitable soils to be completed.